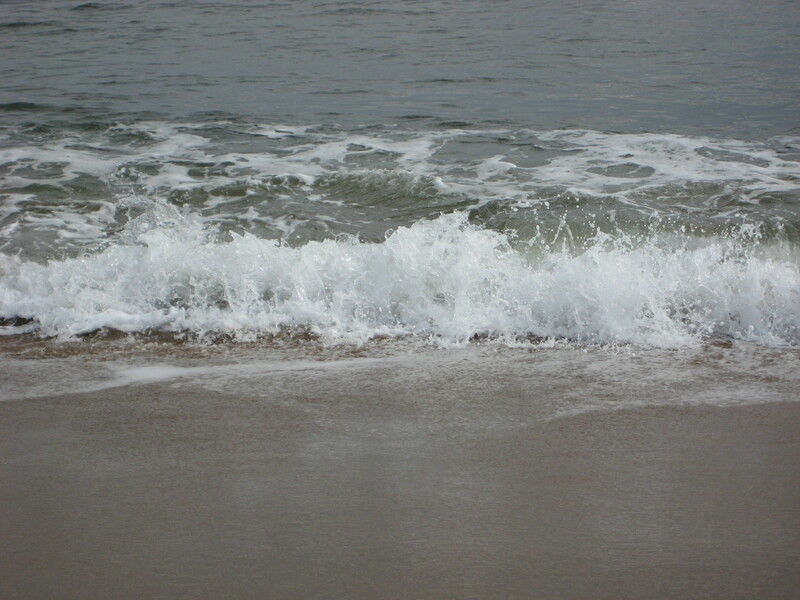 I’m shortly going to be blending this blog with my website (www.anitasanchez.com) so when you visit Unmowed.com the format will look a little different. Also most of the older blog posts won’t be available right away, but they’ll be back eventually. The new format should make the blog easier to load, especially if you don’t have the highest of high-speed internet. I hope you’ll stick around! Summer is just around the corner, and the whole green world is just waiting for us to explore it. Then BAM. The end of May hits like a freight train, and now we have to spend the rest of the summer beating the plants back. Everyone’s out on their riding mowers, trying to get the lawn under control. With all this rain, the grass is growing so fast you can almost see it. The weeds are already eating the garden, the houseplants are stretching their legs (so to speak) and flourishing on the porch. Each year I buy petunias and geraniums and begonias to decorate the front porch. They’re not hard to grow, don’t take much of my time. 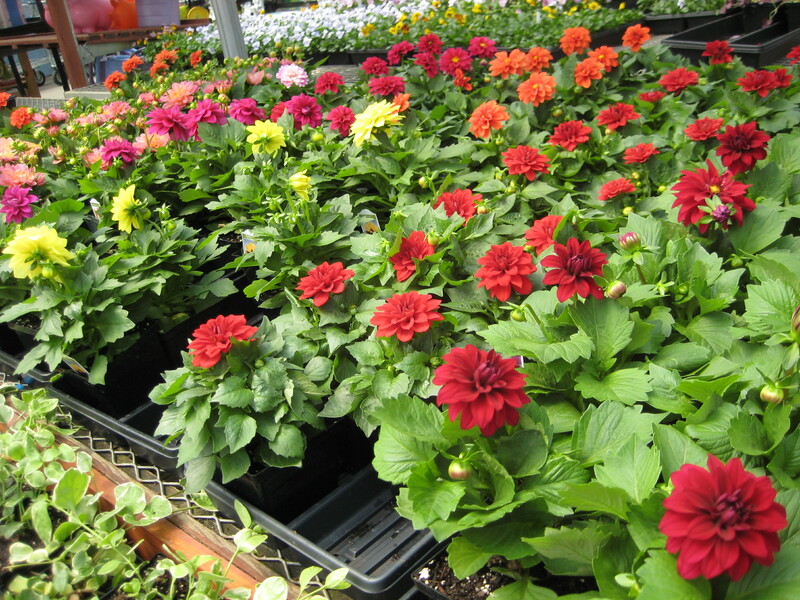 And every year I also plant another type of plant–even easier to grow. Some might say not as pretty as a petunia, but I find it has a beauty all its own. It’s partly because dandelions are a food plant, of course. I grab a handful of leaves every now and then to add to a salad. But they’re bitter now, really too bitter to eat raw–after the plant flowers it undergoes a chemical change and the sap inside the leaves becomes mouth-puckering–most types of lettuce, which is closely related to dandelions, do the same thing when they “bolt.” Summer dandelion leaves are better cooked–a handful of greens chopped up in a soup is a nice addition. I could get them from my lawn, of course–we’ve had really quite a lot of success growing dandelions on the front lawn. But I just like the one in the flowerpot. The most interesting part is watching the stems elongate–they start out as flowers with a stem about six inches long, and then as soon as they’re pollinated the flowers close up like an umbrella. And then the stem begins to stretch, up and up. Almost overnight, it turns into a giraffe-neck more than a foot long. 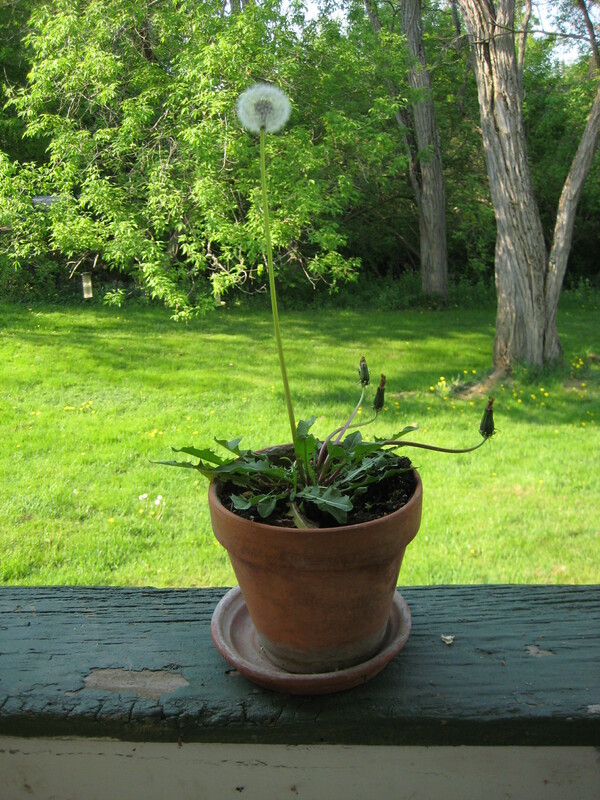 This is an adaptation so they can get the seed ball up higher into the wind, since dandelions of course disperse their seeds by wind. You can’t beat dandelions as a porch plant–better tasting, and much more entertaining to watch than a petunia! 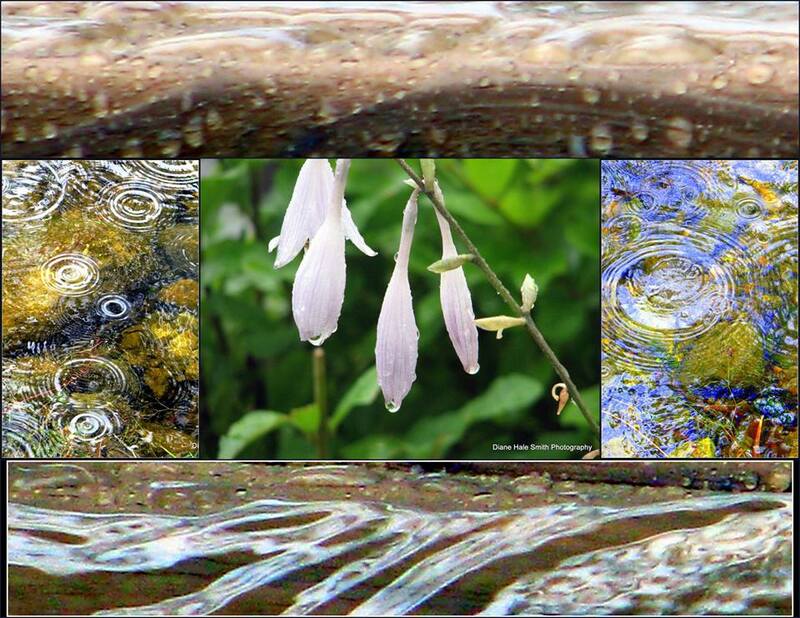 Thanks to Diane Hale Smith for this beautiful photographic collage. Long ago, I used to work with a gentleman some of you may remember–a very gentle man, named Ray Falconer. He was a meteorologist, the weather guru on public radio, and he used to give the most amazingly detailed and enthusiastic weather reports I’ve ever heard. Rain, sun, cloudy, mild, hurricane, fog, hail, whatever–the guy just loved weather. If you bumped into him and casually remarked “Nice day,” you had to be prepared to listen to a twenty-minute dissertation on high pressure and warm fronts. Anyway, he once told me that in the course of his research he had looked over the statistics for the past several decades, and he claimed that what we had long suspected was actually true: it does rain more on weekends. He was talking about Albany, NY, but I think it’s probably a global phenomenon–the weather gods just know when there’s a parade scheduled, somehow. But after a long haul of (gorgeous, sunny, warm) extremely dry weather, you can see the plants drinking the rain in with such eagerness. Everything is growing visibly, almost audibly. So I guess we’ll have to put up an umbrella over the barbecue grill this weekend, and enjoy the beauty of the rain. Tulips. The most domesticated of plants—human-engineered, unable to live in the wild, destined to look all alike and grow submissively where they’re planted in parks or gardens. 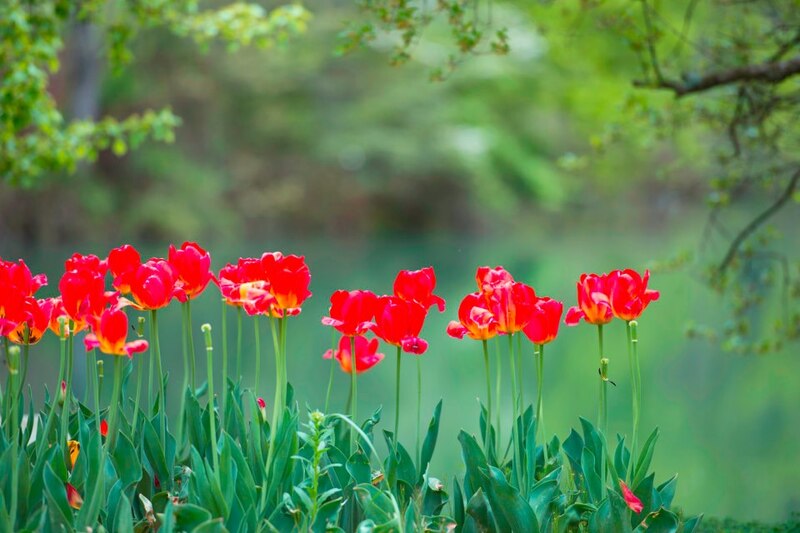 Yet look at these tulips—even when they’re all lined up in a row, each is a distinct individual. Their youth is gone, old age is nigh, yet they’re gamely marching on. They seem to know that spring is winding down, and they’re leading the way into summer. One of the best things about writing a blog is that it gives you a reason to look at everything with new eyes. I’ve always enjoyed plant-watching, but now I eye the green ranks like a Hollywood casting director: Have you got star quality? Are you photogenic and charismatic enough to be the focus of my next blog post? 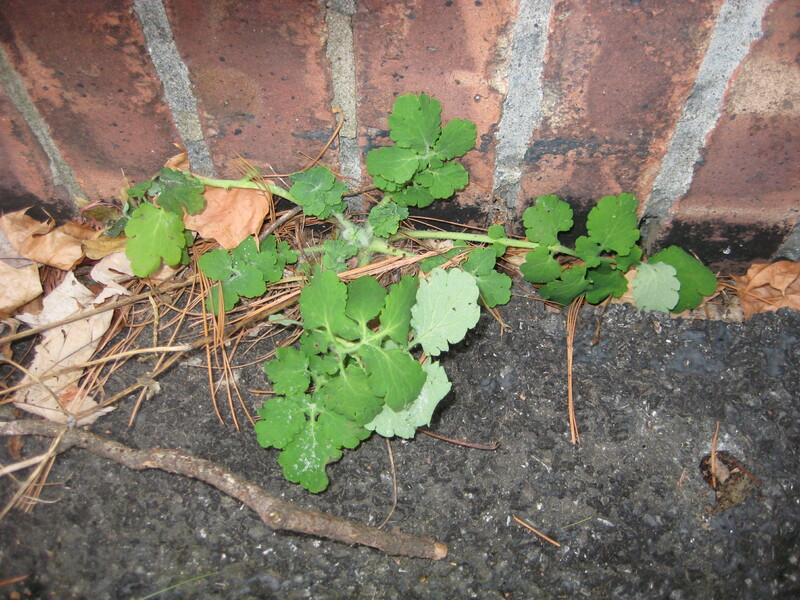 Anyway, several months ago I wrote an exciting blog post about a January snowstorm, with the leading lady being a young celandine plant huddling in a corner to avoid the storm. 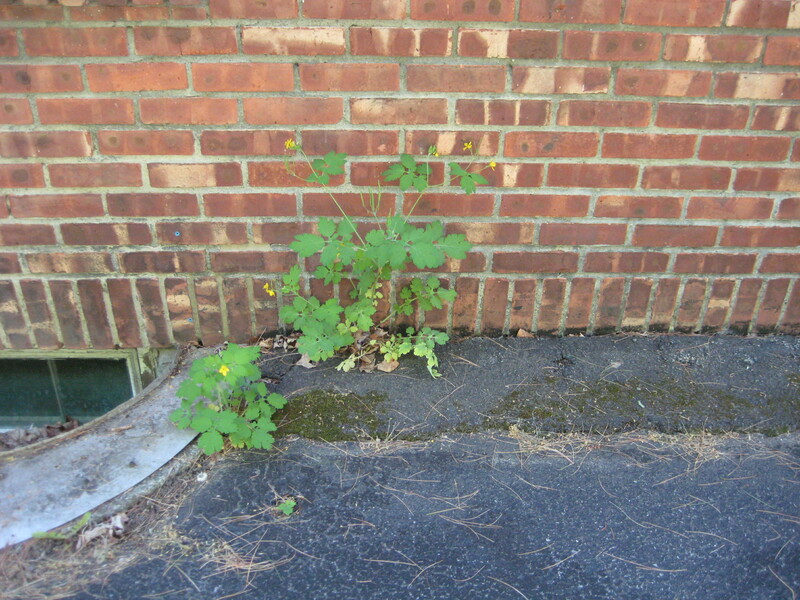 The story had a happy ending, and the young celandine spent the whole cold winter lurking in the driveway. Just showing a few leaves, she managed to tough it out and make it through till spring. 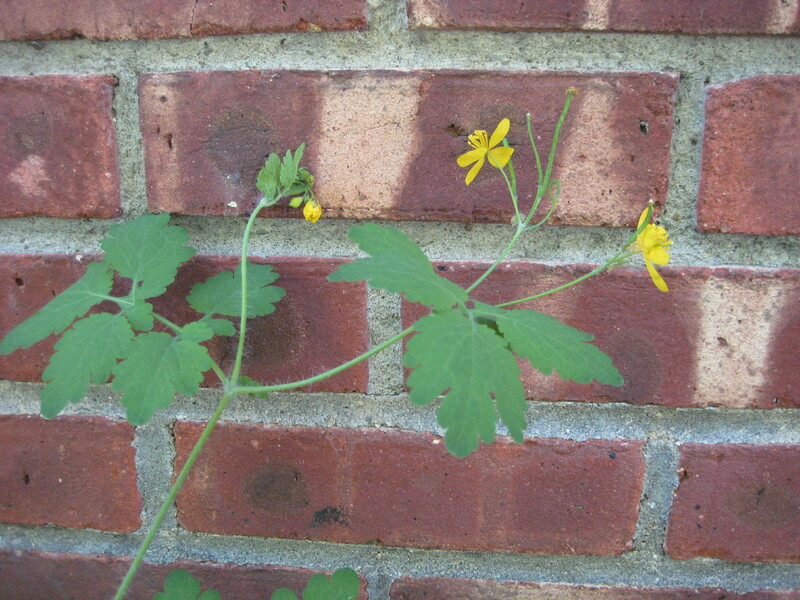 Celandines are in the poppy family–not a native wildflower, but not terribly invasive. They’re quite common, because they have a bright yellow sap that’s quite toxic and–I would guess–tastes horrible, so deer and other browsers don’t tend to eat it. Anyway, when spring rolled around, the celandine leaped up and stretched out. 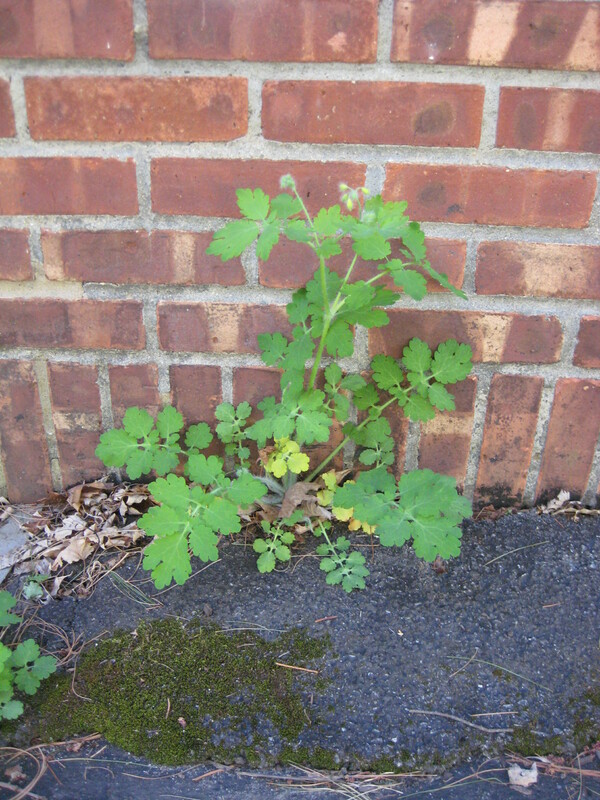 Here’s a photo of the same plant taken in late April. She’s matured, gotten long and leggy, and the buds are ready to open. And now, in mid-May–the celandine is in full bloom. She’s ready for her close-up! I admit it. It’s an addiction. The first step is admitting it, right? Much as I love nature and wild things, I just can’t pass up a greenhouse. There’s something about all those plants, spread out in a wild crazy quilt of color. The sheer gorgeousness of the exotic blooms. This is Gade Farm on Route 20 in Guilderland. 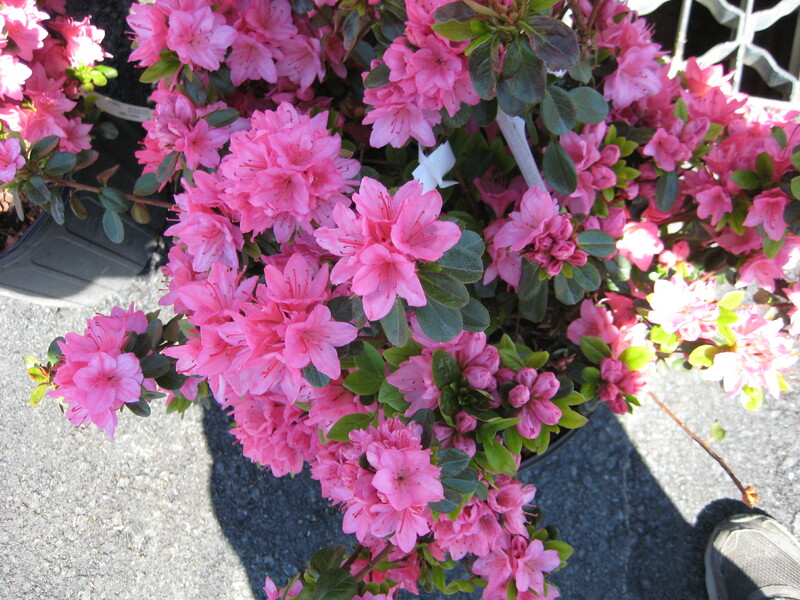 I park the car and walk inside, vowing not to buy one more plant. 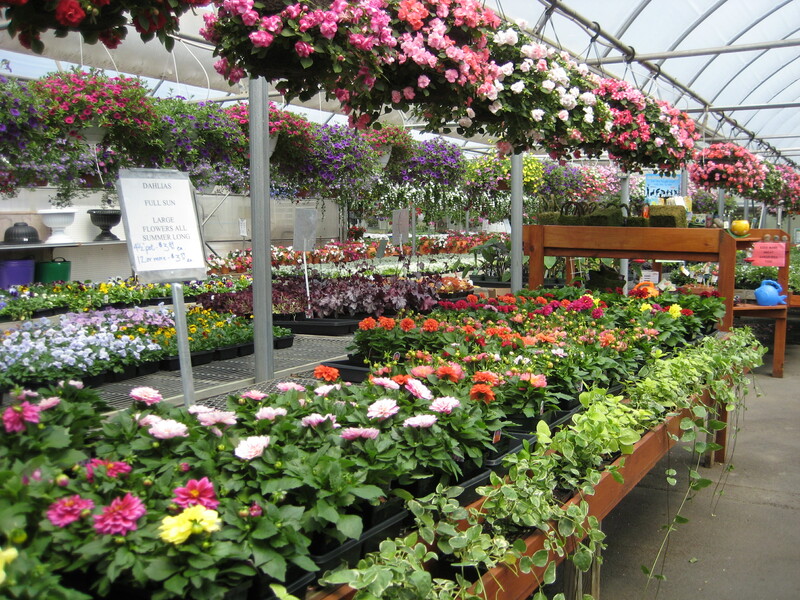 Usually, in twenty minutes I’m staggering back to my car loaded down with petunias or what-have-you. But this year I drifted away from the magenta and purple and scarlet of the annuals, and checked out the quieter area on the side—all green, nothing blooming yet. The plants look modest, but the price tags aren’t. These little green sprigs cost three or four times the amount of a pack of petunias. 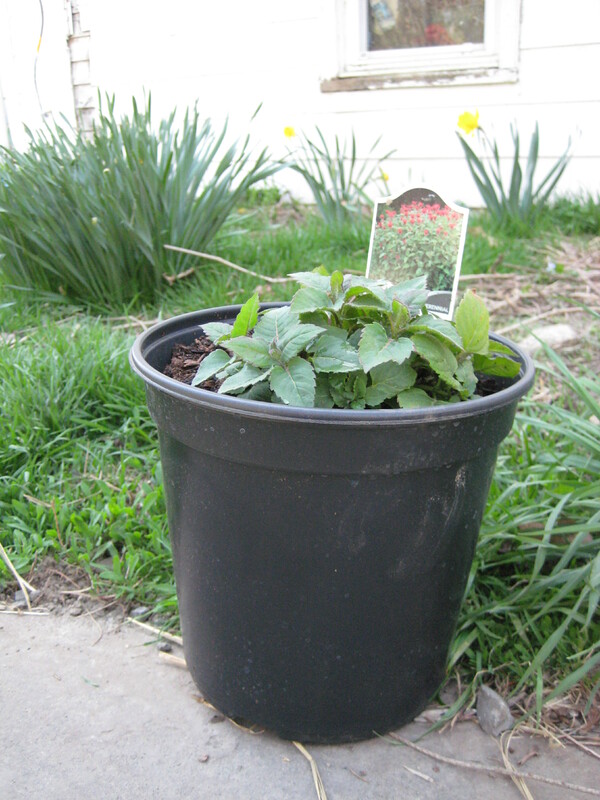 It’s bee balm, a type of mint (no minty smell, though). A perennial, coming up year after year. That’s why it costs so much, of course. It’s a bet on the future—a future filled with uncertainty, to be sure, a future of possible frost, caterpillars, or accidental beheadings with the lawnmower. But if my $7.99 gamble pays off, each year the plant will get bigger. 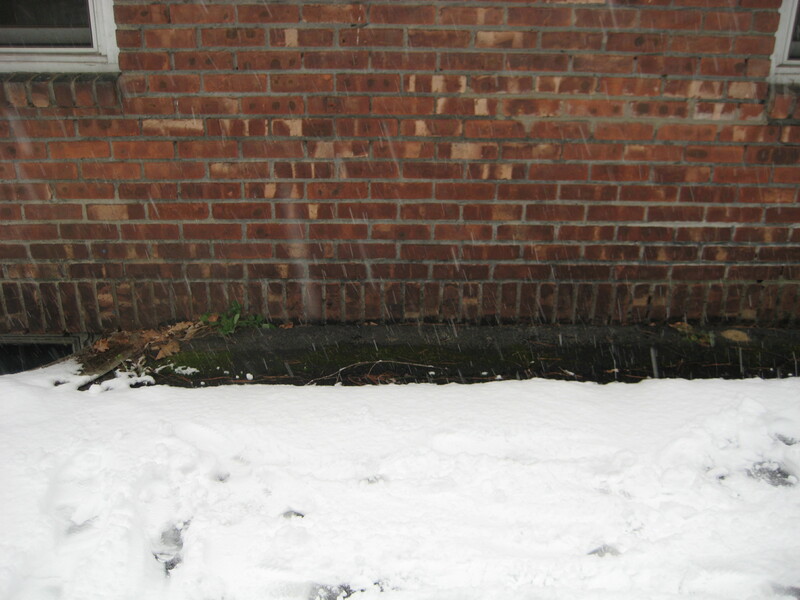 It will (again, I’m betting) overwinter safely underground and spring forth each spring better than ever. 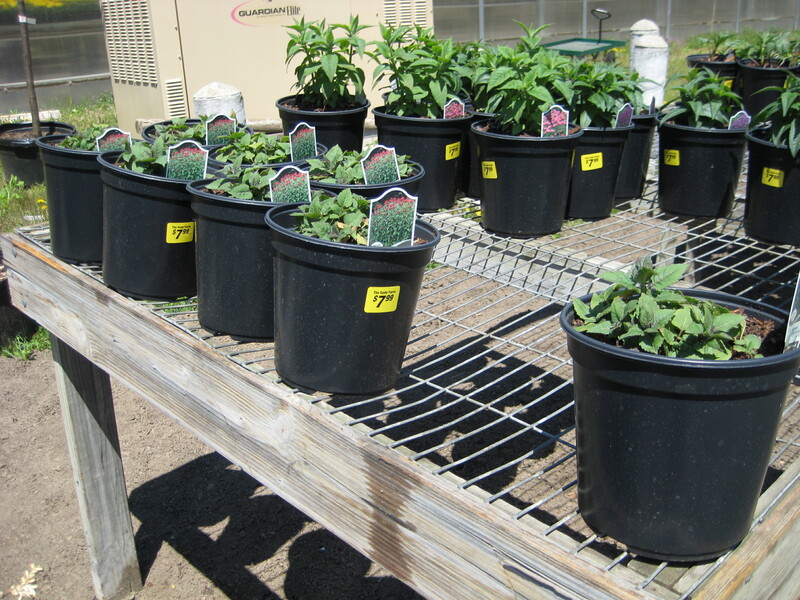 The petunias will kick the bucket at the first frost, but the bee balm will persist. Why bee balm, if I want a perennial? Why not peonies or roses? Well, I’m trying to garden with my neighbors in mind. Bee balm is the plant if you want to attract hummingbirds. It’s a native American plant, and hummingbirds are nuts for its long trumpet-shaped red blossoms. Good for butterflies, too. It’s a small attempt at replacing some of the native species long since ousted by the rosebushes and tulips. Bee balm is going to help me feed hummingbirds for many summers to come. I bet. The fuzzy pelt on this vine is the sure indicator of poison ivy. And yes you can get a rash from the vine–from almost all parts of the plant, in fact—root, fruit, stem, and leaf. Although though the plant looks furry enough to be a mammal, of course it isn’t really hair; all that fuzzy stuff on the vine is made up of a dense mat of aerial rootlets. They absorb oxygen and help the plant clamber up the tree, making its way to new heights to absorb more sunshine. 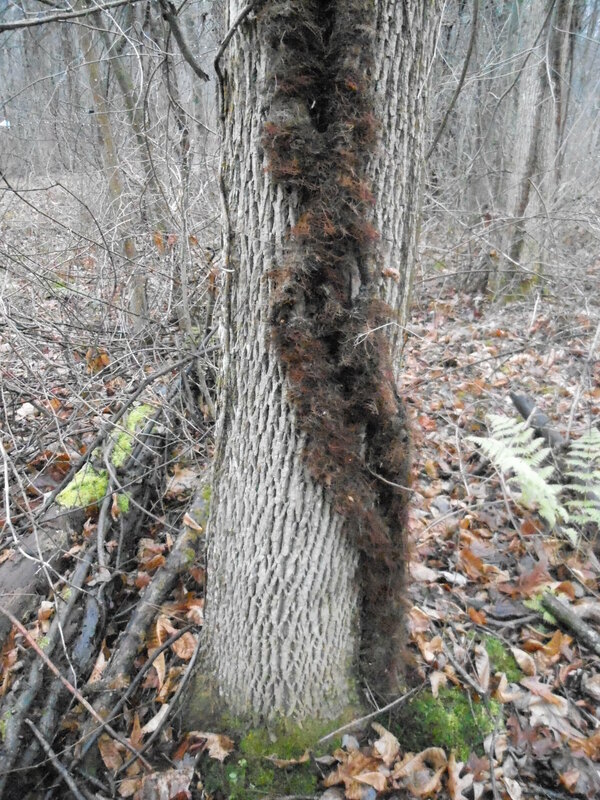 Another reason why poison ivy is a highly successful plant. Thanks to George Steele for this amazing picture, taken at the Montezuma National Wildlife Refuge!